First impressions matter, and your smile is often the first thing people notice when they meet you. A wide range of assumptions can be made based on your smile alone. Your economic status, attention to personal hygiene, and even your personality are all characteristics that can be inferred (perhaps, inaccurately) from your smile. If your teeth aren’t as white as your friends and colleagues, you may want to consider simple and affordable dental whitening options from AC Dental of Langhorne. Many people are embarrassed to show their teeth when they smile. They try to cover up when they laugh and even when they speak. Your smile shouldn’t be something you stress over and certainly should never hold you back from enjoying life. With whitening options from AC Dental of Langhorne as affordable as they are, there is no reason to live with a smile you aren’t proud of. Our teeth whitening methods are proven to brighten your smile significantly. Our dentists understand what it takes to truly transform your smile, and will do what it takes to whiten your smile to your liking. 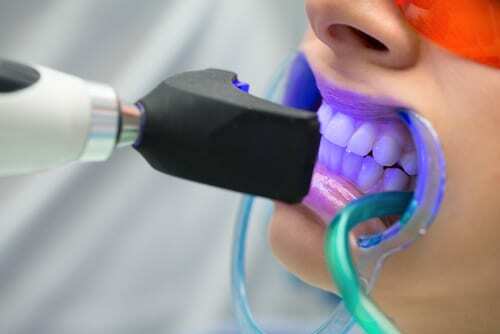 Their expertise in teeth whitening and various other dental procedures including dental veneers and emergency dental services are what separates them from other area dentists. At AC Dental of Langhorne, our patients trust us to provide comprehensive dental care with a genuine, personal touch. While some teeth whitening options you’ll see online and in infomercials claim to be the fastest, easiest way to a brighter smile, they are no more than a cheap, quick fix. At AC Dental, we serve patients in Fairless Hills, Langhorne, and Levittown with advanced teeth whitening that lasts. We take pride in providing top-quality care and achieving results that make a difference in our patients’ lives. The dentists at AC Dental of Langhorne take their time with you and strive to provide exemplary customer service. We treat every customer with the attention they deserve, to make each dental visit as painless and stress-free as possible. From teeth cleaning to emergency dental services, we take time to make every patient feel cared for. Our goal is to improve your life by first improving your smile. With a friendly and caring touch, our dentists will give you the bright smile you’ve always wanted with the personal attention you’ll appreciate. Your smile says a lot about you. If you’re continually thinking about your teeth and are ashamed to show them, expert teeth whitening from AC Dental of Langhorne is the solution to your problems. With quick and easy online appointment scheduling and a trusted team of professional teeth whitening dentists, brightening your smile has never been simpler. The smile you’ve always wanted is only one phone call away. If you are interested in brightening your smile with a group of experienced dentists near Levittown and Fairless Hills that genuinely care, contact AC Dental of Langhorne today at 267-544-7071 to schedule an appointment.